This week’s farmer feature is Jim Neidel; local farmer & Producer Relations Manager here at the cooperative. Jim told us what organic means to him and described his role here at Maple Valley. Read on to find out more! 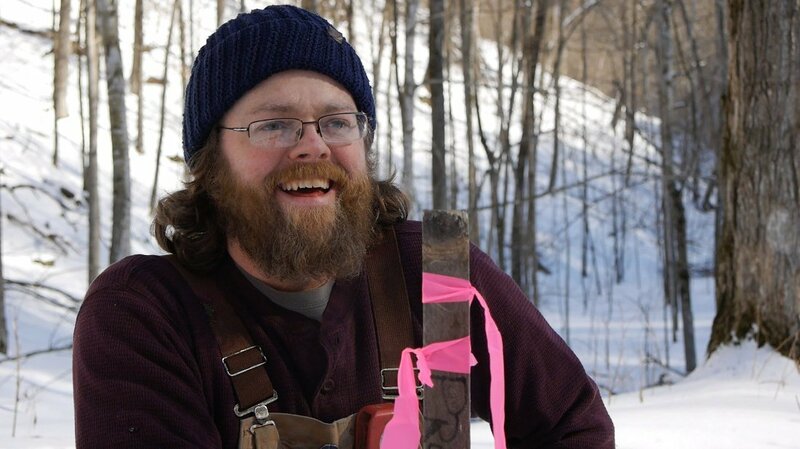 Tell us about yourself and your sugar bush. My name is Jim Neidel. My wife Aja and I have four kids: Lily, Helen, James, & Alba. 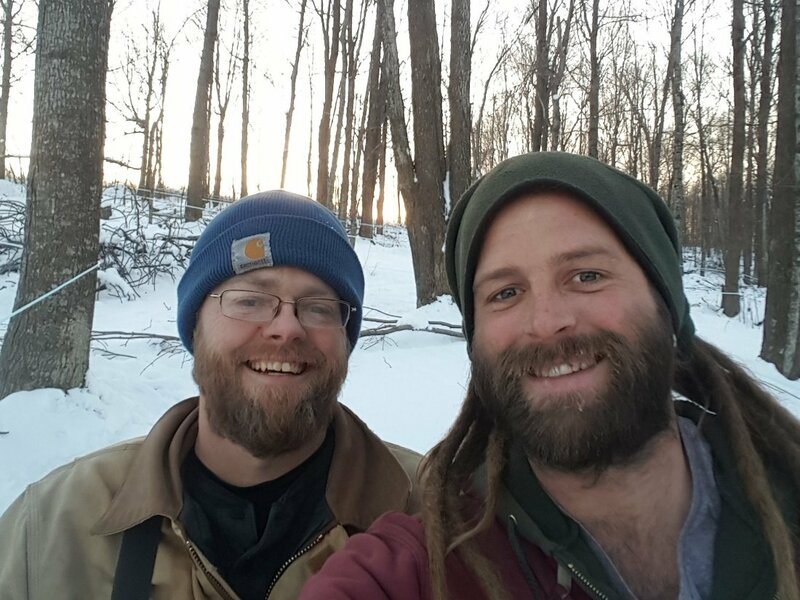 We left the rat race in Illinois 6 years ago in pursuit of a simpler life in Wisconsin. 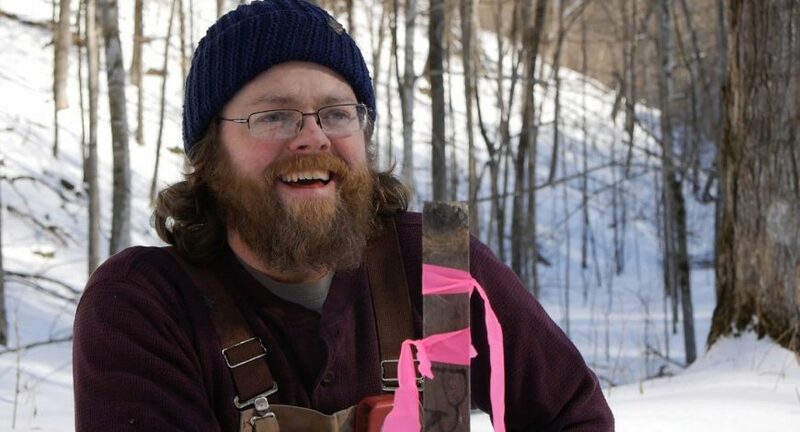 I have been involved in maple syrup production for about 5 years now. 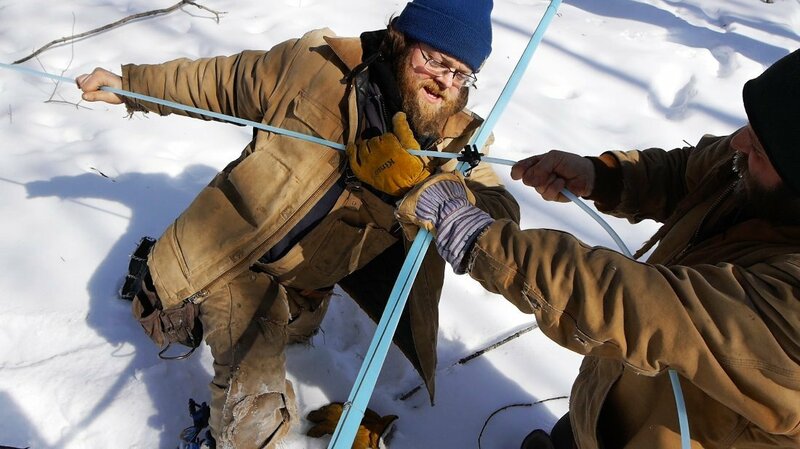 I work with two other partners, Cecil & Eric, in our sugar bush. All together we have about 4500 taps. What is your role at Maple Valley? I am the Producer Relations Manager. It is my job to purchase syrup from our producers and build relationships with them. How did you first get started in Maple Syrup production? I was friends with Cecil and he invited me out to help him. In addition, I became friends with Eric, my other partner and one of Maple Valley’s farmers. So, I just started helping them at first. At some point, the neighbor next to them put their land up for sale. I bought it, and have been making maple syrup ever since. I enjoy just being in the woods; the simplicity of the process; the trees giving us this great natural product. Organic is the way things are supposed to be. Simple. I’m not in to using chemicals and altering things. I appreciate natural products for what they are; healthy for my family & the environment. I use Maple Syrup on just about anything and everything. I don’t have a favorite recipe, but I definitely use it the most with pancakes and especially in coffee. For the most part, I like the Dark and Robust syrup best. I do, however, appreciate the flavors of both. Thank you for supporting our Co-op!